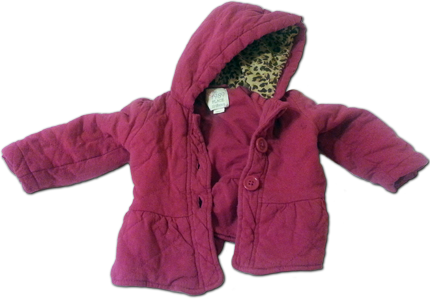 The other day, I saw my daughter’s little magenta coat lying on the bed. I was caught off guard by the number of vivid thoughts that suddenly flooded my mind as a result of just seeing Harper’s coat. As I looked at that coat, I palpably remembered the inexhaustible passion she has for playing outside, even if it’s too cold. Especially now as the weather warms up, the mere thought of going outdoors lights up her blue eyes, paints a giant toothy grin on her face, and gets her chattering with excitement like nothing else does. Given how fond she is of playing with the iPad, it’s heartening that she shares an even greater affinity for good, old-fashioned, time-tested outdoor play. As I looked at that coat, memories of that little girl wearing her coat saturated my thoughts. Was it the coat that she treasured so much, or what the coat meant? So deep was her love for the outdoors that she sometimes wore the coat indoors, possibly just because it reminded her of how fun it was to be outdoors. Even after her parents would make it clear that we weren’t going outside right now, she’d often want to keep the coat on anyway. Just in case. As I looked at that coat, I thought of a million tiny miracles. As any parent of young children can attest, watching your little toddler clumsily–yet determinedly–explore the wild is like becoming re-acquainted with the world yourself as if for the first time. Everything that we often take for granted–bugs, pebbles, water, plants–is a miracle in the eyes of a toddler. Things that we ignore every single day–it’s all magical if you look at it through Harper’s young eyes. A barking dog, the moon, a flower… they all merit an excited call to attention according to her. How much more enjoyment could we get out of life if we adopted more of that approach? What a funny series of thoughts to be inspired by a little magenta coat.